Thanks for all the kind words, comments, emails and messages about my sinus problems. We cured them by a trip to the very west coast of the US, to the lodges of Olympic National Park from Monday to Wednesday...photos of that later. BUT...I didn't have internet access, so returned and found out there had been a christening!!!! Of course, you know who they are, but...in the rear standing left to right, Prince Philip, Charles the Prince of Wales and wife Camilla and Prince Harry. 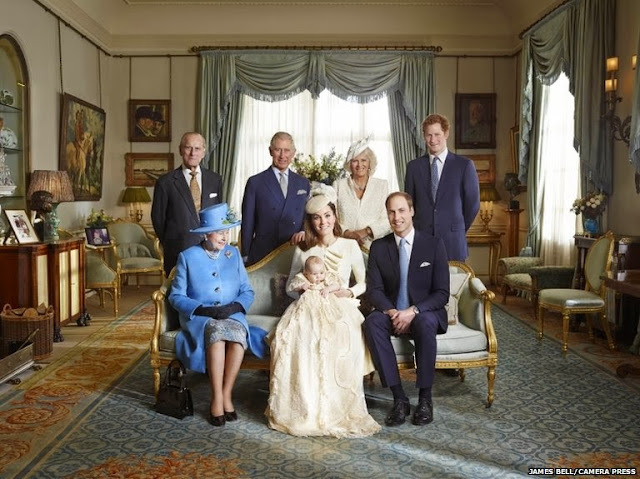 Seated are Queen Elizabeth II, Catherine and Prince William. The christening gown is a replica of one originally designed for Queen Victoria's first daughter, and now a replica as the other is too fragile, the replica was last used in 1914. 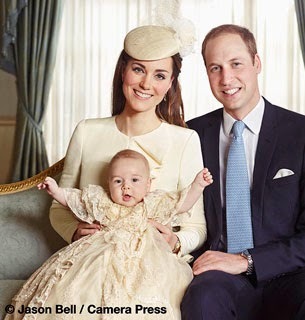 This Jason Bell official portrait includes Catherine's paretnts, the Middletons and her brother James and sister Pippa. The christening is pretty special, as it is the first time in generations that the reigning monarch has attended the christening of her (or his) great-grandson. 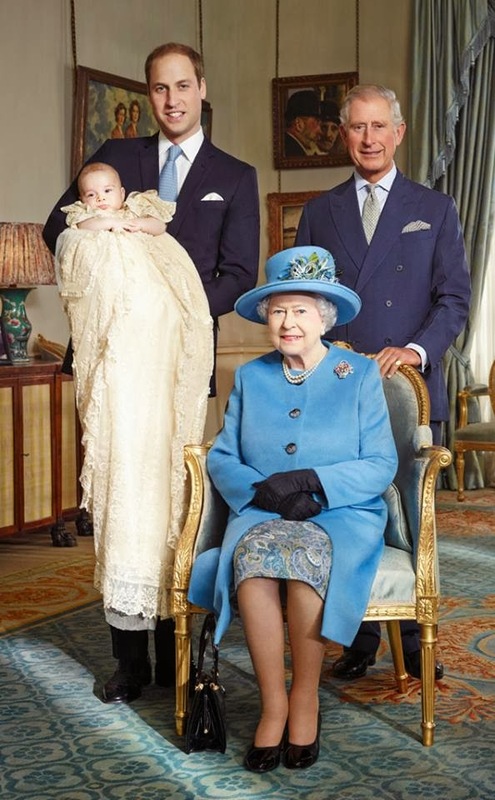 There are now 3 generations of heirs to the throne, which must make her very happy...and seem quite old I bet! An historic photo!!! 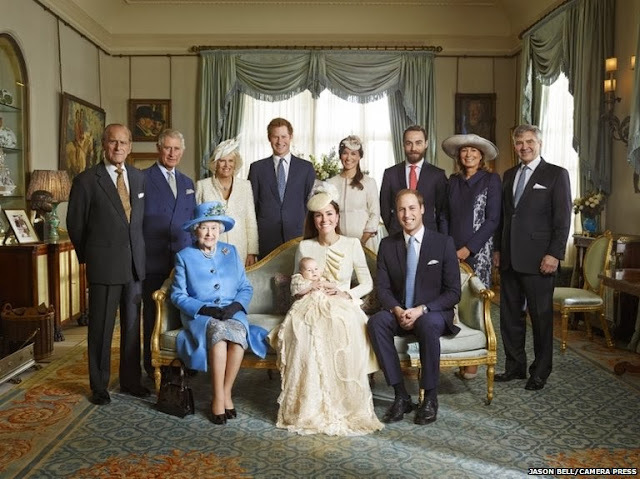 For a wonderful slideshow of the christening including the many godparents and their relationships to the Royal baby on the BBC website, click on the photos and begin the wonderful slideshow! Vintage Toby Jug Figural Teapot..Too English!! !